Bengal a state in India ,is a very colourful place & live a very vibrant life wrapped with many culture. One of the very old culture is their Gajan festival - mainly the worship of Lord Shiva during summer. 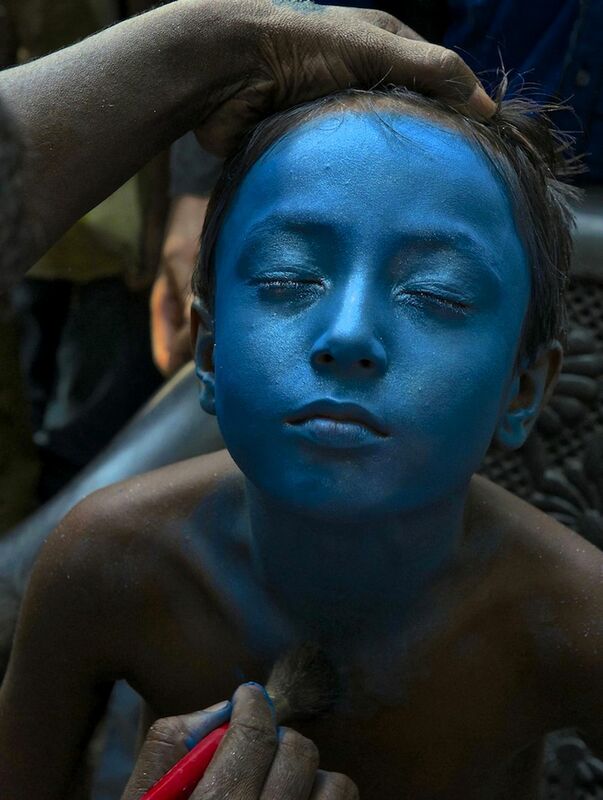 Thousands of people throngs at the temples and in many places people paints their body after the different God.The shot was taken during the preparation stage of the festival. Date Uploaded: Oct. 22, 2015, 3:54 a.m.